It’s highly likely this will bring back memories of the faded plastic seating of your school days. 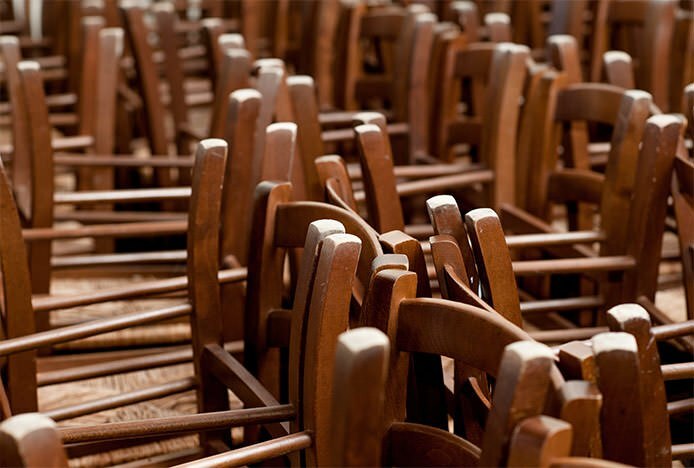 Yet there’s no doubt stackable dining chairs are much sought after and have majorly evolved over time, now bearing little resemblance to stuffy classroom furniture you might remember. Incredibly popular due to their trademark functionality, there are now a wealth of modern design options available with more colours, shapes and styles than ever before. No longer confined to the old-fashioned schoolroom or dusty church hall, they are widely used in homes, kitchens, commercial eateries and for large scale functions worldwide. Made popular by their practical and versatile nature, they’re ideal if you’re not sure how much seating you’ll need; for example if you have an expanding family, host frequent dinner parties or often find yourself with unexpected guests. Taking up minimal room when stacked, they’re a great compact storage option that will free up a wealth of space. There’s no doubt buying slightly more than required on a daily basis will pay off, as any extras can be easily stored away in a garage, spare room or cupboard under the stairs. Readily available, they can quickly be whipped out for special occasions and surprise visits. Furthermore, they pair brilliantly with extendable tables for a fully flexible seating arrangement. 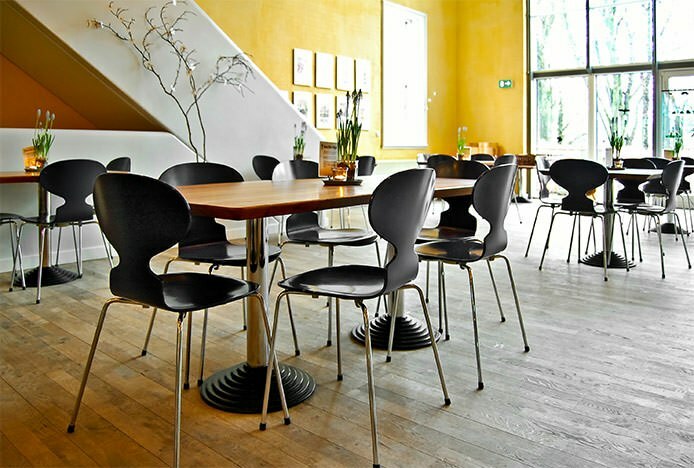 They are also ideal for use in commercial environments from casual cafes to formal restaurants. To maximise on space they can be neatly stored away in a cellar or backroom when not needed, then easily set out during peak times or when hosting larger parties. Allowing you to cater for a maximum number of customers will no doubt generate increased revenue. 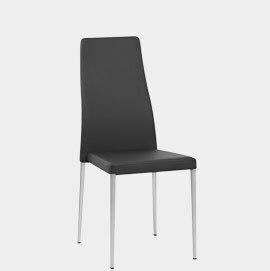 They are also much simpler to transport than regular dining chairs, as they can be neatly stacked in the back of a van. Perfect for special events and functions from weddings to exhibitions, they need to be transported from venue to venue. 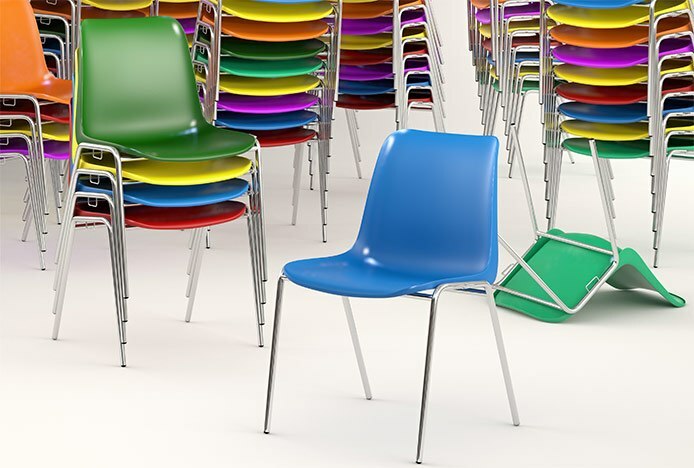 Due to their trademark durability, the seats are often made from hard materials such as ABS plastic and wood which are best suited to stackable products as they’re least likely to damage. 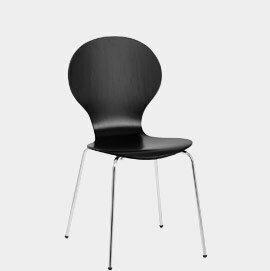 Made by injection moulding, funky matte resin models are incredibly scratch resistant, whilst sleek painted wooden seats such as the Candy Chair (pictured below) deliver matchless solidity. With frames sculpted from mirrored chrome, solid wood or brushed steel, they provide sturdy bases with a casual, contemporary look. Marvellously modern, a spectrum of vibrant colours are made possible, from rosy red to lime green, which work brilliantly when used individually or mixed and matched. Characteristically low maintenance, their water repellent surfaces can be wiped clean, perfect for kitchen and dining areas with the presence of food and drink. Multi-purpose and highly adaptable, this also means that they can be used out of doors, great for sunny picnics, outdoor parties or simply relaxing in the garden. However, whilst all-plastic models can be left outside whatever the weather, metal or wooden framed designs will spoil if exposed to rain. Delivering optimum comfort alongside supreme practicality, models such as the Joshua are upholstered in faux leather and padded with foam for that luxury touch. However due to the soft nature of the foam, these can be more susceptible to denting if care is not taken when stacking them. Nevertheless this can be prevented by assembling them gently, or simply by putting a piece of cardboard, like an old cereal box, between each seat. It’s the expertly designed shape of these chairs that makes them stackable, with legs that slope slightly outwards allowing them to be slotted one on top of the other. Whilst robustly built to allow them to support the weight of multiple chairs, if piled irresponsibly high they may be liable to tip. For safe usage you should consult the recommended stacking height, which will be detailed in the paperwork included in the packaging. To ensure your products maintain their quality condition, small protective plugs are often concealed on the underside of the seat, as pictured. These prevent the surfaces from scraping against one another when stacked or transported. Similarly, protective plugs are included on the underside of the legs, to help minimise the chance of marking to flooring. 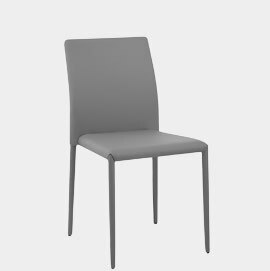 Or why not view our full collection of fabulous dining chairs, using the button below, for an expansive range of top quality products. Make the most of the space that you have with our clever compact designs.. Learn to love your curves with our stunning range of round bar stools..
A range of clever seating solutions for those who are short on space..